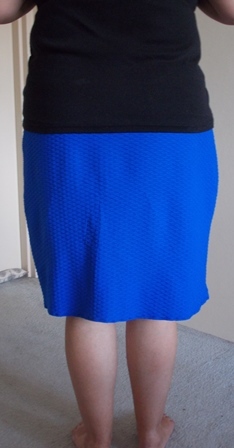 Over the Easter long weekend I made my first skirt from A Beginner’s Guide To Making Skirts. 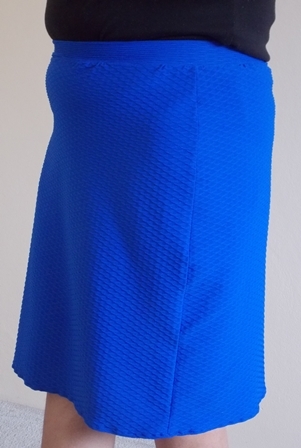 The Roewood Jersey Pencil Skirt is the first skirt in the book and I think it is a good one to start with. 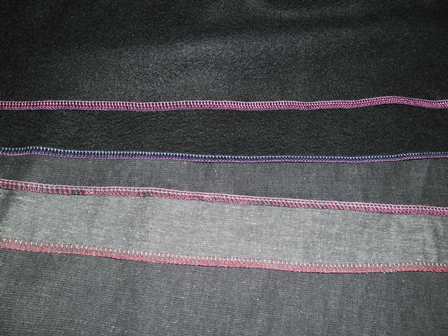 The fabric I used was the fishscale remnant piece I picked up on my fabric crawl last month from the Remnant Warehouse. I made the plain version of the skirt. Fit wise I used the 47″ version however I’ll admit I added an extra ½” around each pattern piece using my seam allowance guide. 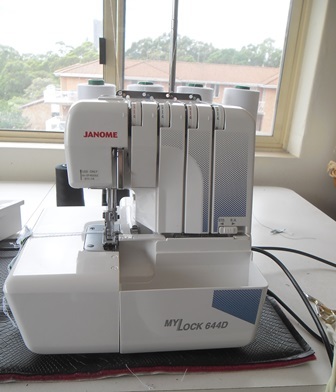 I didn’t want the fit to be too snug and I wasn’t sure how much stretch my fabric would give once sewn up as I had never worked with that fabric before so really it was more like the 49″ that I made. Assembly wise I kept my seam allowance fairly narrow and did the all the seams on the overlocker. I am happy with the size that I did. Yes I have a tummy (love my hot chips) Side on you can see it a little I normally wear longer tops anyway but ever if I didn’t it doesn’t look bad. I like the length of it. I have worn this to work and it did pass the windy day test. I didn’t have to walk down the street holding my skirt which I have had to do with store brought pencil skirts. For the waistband I used the largest pattern size. Even though I am hourglass shape (waist is smaller than hips and bust) I didn’t fall within the waist measurements from the pattern size. Once the waistband was attached to the skirt I realised I could have gotten away without even inserting elastic into the casing as the fabric was very compressing and fitted almost like a narrow yoga waistband but as I would be wearing this to work and not wanting to risk wardrobe malfunctions over time I added the elastic. 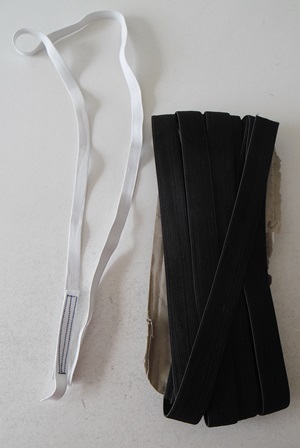 Originally I used a narrow elastic but it just felt wrong once I tried it on. It didn’t sit nice within the casing and just felt awful so I removed it and put in wide elastic. The wide elastic is much more comfortable. When the skirt isn’t on it does look bumpy within the casing but when stretched out around the waist feels nice and secure. 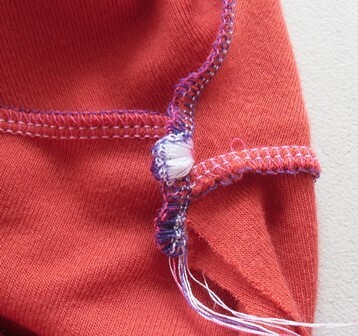 For the hem I just did the most basic fold over and stitch method. It isn’t the neatest hem and I’m sill considering maybe at some point of doing a rolled hem on it. 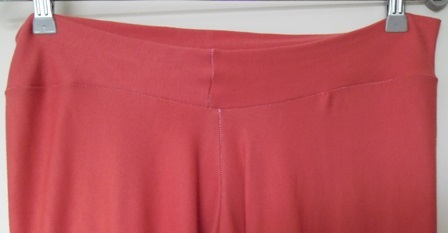 I have enough length that I can change the hem if needed. Sewing this skirt was a lot of fun. The fabric only cost me like $9 so if I messed it up or didn’t like it there was no fear of wasting a heap of money. The fabric is nylon spandex which is not normally a fabric I would go near but I loved the colour and the texture so I tried it out. When I brought the fabric I didn’t know if I would keep what I made from it or not but now that I have made it I’m keeping it. 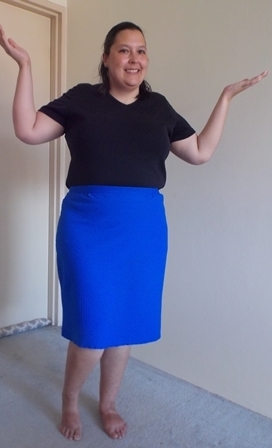 It isn’t a summer skirt even though I am in an air conned office, it is a winter skirt. I have lots of summer skirts and now I have a good winter skirt. 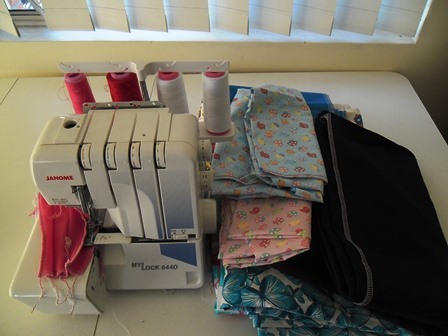 Now that my overlocker is back from its time in hospital (Sewing Machine Warehouse) I was able to use it again. Ok so she came back 3 weeks ago I just hadn’t had time to sit down with her. I thought it was about time I gave the rolled hem feature a try. When I first read my manual on how to set it to rolled hem I got a little confused. I’m more of a visual person and find it easier to learn when I watch things (I am very thankful I’m learning to sew in the days of YouTube) I was going to wait until I went to a Sewing Guild meeting until I found this clip on YouTube which really gave me the confidence to try it at home. The clip really shows you up close how to set the machine. It didn’t tell me however that when you take the needle out you will need to cut it away from your thread chain. I found this clip a couple of months ago and saved it in Pinterest for future reference. I watched it again as a refresher than headed to my machine. I had my tablet next time my machine and could stop the clip after each step and give it a try. One thing I did do was take a photo of my tension settings before I changed them to the rolled hem settings. For some reason in my mind I was expecting it to look completely different. 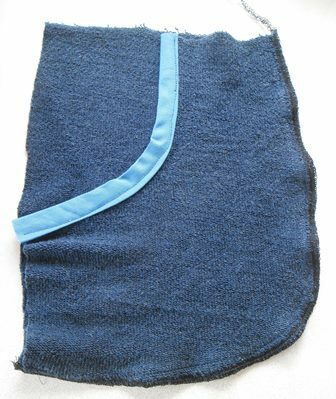 I must go back and read the many overlocker books I have as I had it in my mind it was going to have a large folded hem. 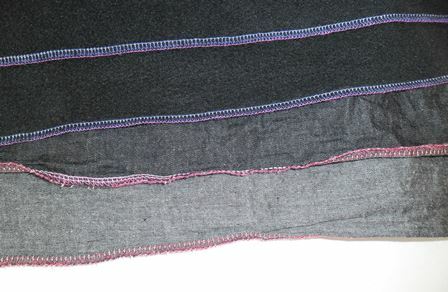 Never mind, I am really impressed with the stitch that it did do. 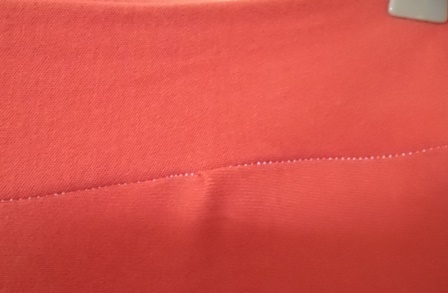 The hem on it is so tiny and neat. On some projects this would be perfect. I can see myself using this feature now that I know how to set it on the machine. I’m really into Totes this Christmas and this was the first one that started me off. 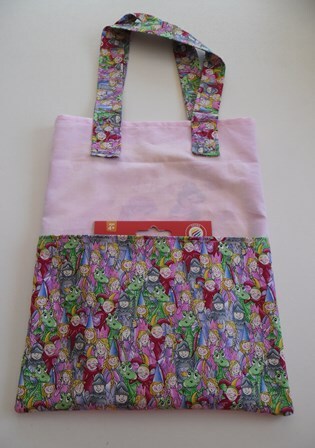 I made this tote after doing a present count and discovering one child was getting less gifts than a younger sibling (a big thing when your 5) I thought a nice quick and simple but practical item to make would be a tote to hold a colouring book and crayon pack. This project took no time to make. The pink fabric was left over from another Christmas gift I was making. The dragon and princess fabric I found in my stash which ties in perfect as I found a princess colouring-in book in my spare room. It was a good project to use this fabric on as its not a print I would normally use. 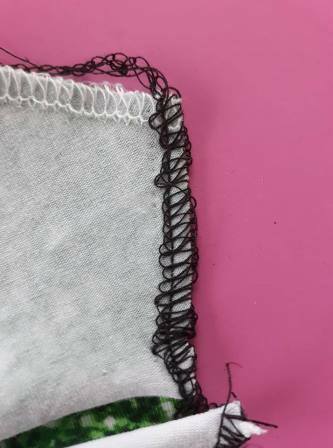 I did all the seams for this on the overlocker to cut out some of the work as the overlocker stitched it and finished the seams off in one hit. This project took no time at all to make. I like the simplicity of this tote bag and I’m sure I will make it again in different fabric. I think I have a tote addiction but they are so practical how can you not love them.